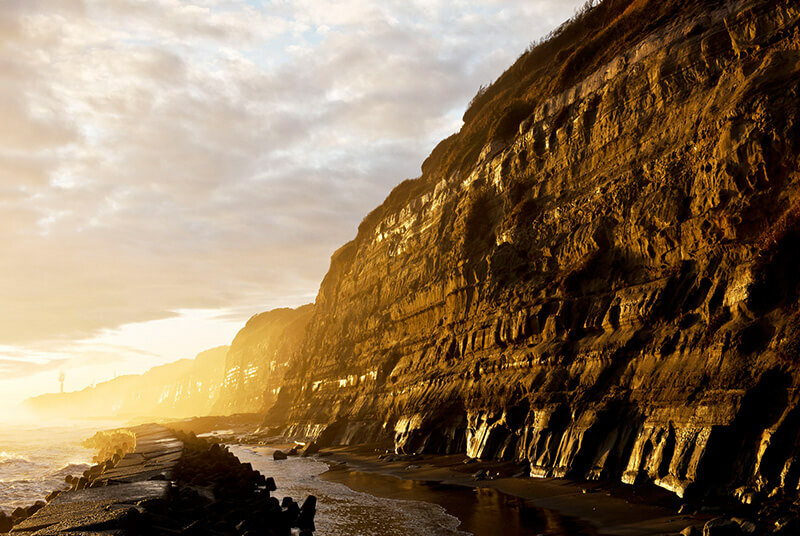 These magnificent cliffs stretch for around 10km along the coast from Choshi to the neighboring town of Asahi. At 40-50 meters high, they are a wonderful example of rock strata dating from prehistorical times. Sometimes called "the Dover of the Orient" due to their resemblance to the White Cliffs of Dover in the UK. The cliffs are a favorite location spot for movies, TV dramas and commercials. They form part of the Choshi Geopark and, in March 2016, were officially recognized as a natural treasure. There is a footpath along the base of the cliffs from where you can view the strata at close range. 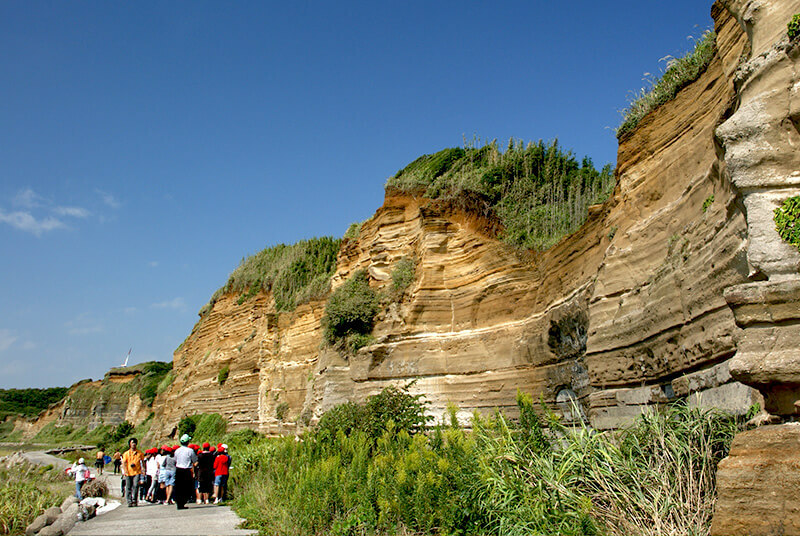 The scale of the cliffs can be appreciated from the footpaths around the nearby Choshi Marina. The sunset at Choshi Marina is a dramatic sight. 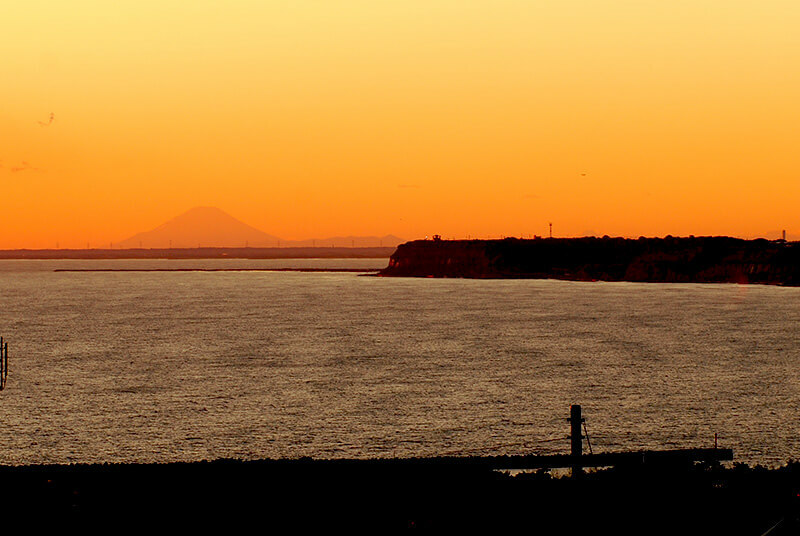 In winter, when the air is clear, Mt.Fuji can be seen on the horizon. It's a perfect photo opportunity, capturing the cliffs and the iconic mountain in a single shot. Turn right and keep walking along the quayside until you come to a fork in the road. Bear left. The cliffs are visible from here. Take the bus bound for "Naarai / Chiba Kagaku Daigaku" from "bus stop #5" at "Choshi Stn". and get off at "Chiba Kagaku Daigaku Marina bus stop". Approx.3 mins walk from the "Chiba Kagaku Daigaku Marina bus stop". The cliffs are visible from the bus stop. Ask the driver to take you to "Choshi Marina Kaisuiyokujo".